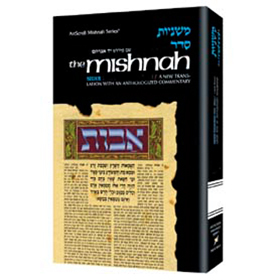 The ArtScroll Mishnah Series with Yad Avraham commentary brings the text to life as it is developed and clarified by contending minds in the study hall. Yad Avraham commentary covering the full range of major, and many secondary commentaries. YEVAMOS: This tractate discusses Childless Widows, Incestuous Unions, Agunos. KESUBOS: This tractate discusses Marriage Contracts, and Financial Obligations. NEDARIM: This tractate discusses Vows and Oaths. NAZIR, SOTAH: This tractate discusses the Nazirite and the Suspected Adulteress. GITTIN, KIDDUSHIN: This tractate discusses Divorce and Marriage.